UU A Way Of Life: What is the purpose of the "Ask Alexa" feature on this blog? What is the purpose of the "Ask Alexa" feature on this blog? 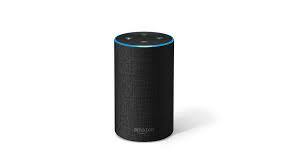 The "Ask Alexa" feature on UU A Way Of Life ministries blog is a form of a pop quiz which asks questions related to articles which appeared earlier on the blog. The "Ask Alexa" feature is a prompt to further reflect on the ideas and concepts presented in blog articles. The daily question may be a stimulus for further reflection and discussion. The UU A Way Of Life ministries blog seeks to provide services that raise consciousnesses and provide information to enhance the reader's understanding of themselves and the world in which they navigate their lives. These educational and inspirational services are intended to be activities to carry out the mission of UU A Way Of Life ministries which is to sanctify the world by helping people become holy. You can support the UU A Way Of Life ministry by contributing time, talent, and treasure according to your ability and inclination. This is best done by passing the service forward by sharing and spreading the good news which Unitarian Univeralism communicates to the world. UU A Way Of Life ministries is what is called in the Unitarian Univeralist world a "community ministry" meaning that it is not congregationally based but a ministry to the wider world. As the ministry grows, it is envisioned that it will have a board of directors and be linked to a national and international organization. It's ministry mission is to sanctify the world beyond congregations although serving congregational ministries is an important part of its function.